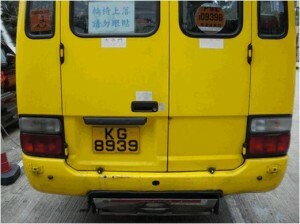 “Easy Access Bus” (EAB) is a safe, comfortable and accessible transport to both local and overseas wheelchair users. An EAB can take maximum 21 passengers at a time or 12 passengers on seats after taking a maximum of 5 wheelchairs. Each EAB has a power lifter with 350kg lifting power and is equipped with wheelchair tie-down and occupant restraint system at ISO10542 standard.